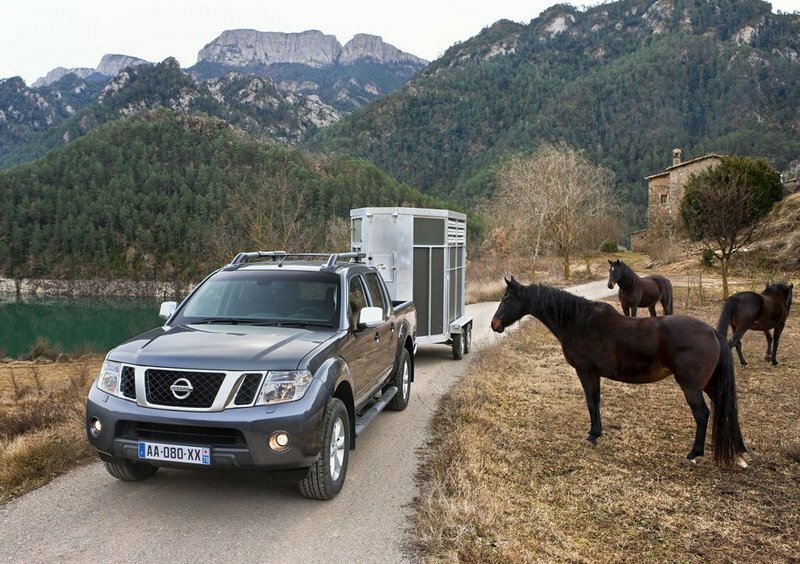 Next to the Toyota Hilux, the Nissan Navara was for a long time the favorite choice in the pickup segment, thanks to its go anywhere abilities and the good compromise between comfort and practicality. However, in the latest years many things have changed and The Hilux and Navara are no longer the only players that worth to be taken into consideration. The pickup trucks segment is now more populated than ever and the Navara needs to compete with strong rivals, like the new Isuzu D Max, Volkswagen Amarok or Mazda BT 50. With these threats on its mind, Nissan decided to raise the bar of its iconic Navara and came up with a set of upgrades to spice things up a little. 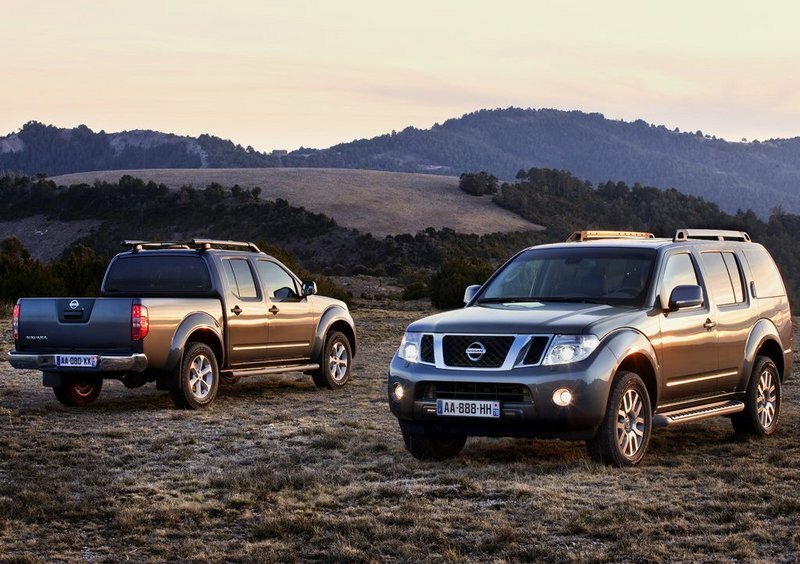 The new generation Navara was developed together with the Pathfinder which makes it more than a bare bones work horse. The vehicle comes with a wide choice of cab configurations which includes a King Cab model with suicide doors and a standard Double Cab with conventional doors. Unfortunately, there is no single cab option available. The Nissan Navara’s exterior style isn’t something to rave about as there are much better looking pickups out there. 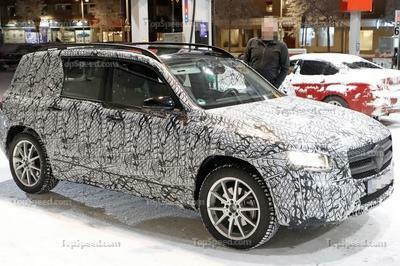 Yet, we like its purposeful look as it’s a perfect match for its utilitarian character. The front grille is a modern interpretation of the old one and continues to bare the company logo in its center. It’s also keeps the same chrome treatment as the old one. The main lights are big and robust, being nicely integrated into the front fascia, while the fog lamps are mounted deep into the bumper. The front bumper also comes with an integrated air intake which further enhances the purposeful look of the Navara. Keeping it up with today’s trends, the front wheel arches are massive and merge with the lines of the bumper offering an attractive, muscular design. At the back, the Navara comes with a generous load area with minimal rear wheel arch intrusion. The Double Cab and King Cab models features load volumes of 2.36 and 2.9 cubic meters, respectively. Both models can deal with a maximum payload of up to 1073 kg. 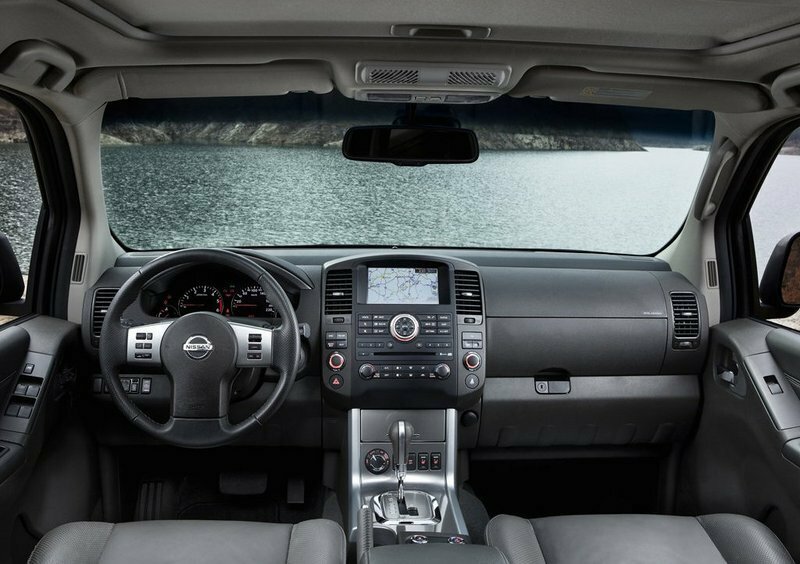 The Nissan Navara’s interior continues the robust design language found outside. The dashboard looks pretty rudimentary, but it’s fairly masculine. The vinyl seats and plastic floor coverings fount at the older generation are long gone and were replaced by high grade timber finishes, soft leather and thick-pile carpet. The Nissan Navara is offered in four trim levels namely Standard, SE and Outlaw, while the Double Cab is available in a further range-topping Aventura. The Aventura specd Navara is among the best kitted pickups from the market and comes with leather upholstery, electric windows, sunroof, DVD satellite navigation, performant sound system and Bluetooth compatibility. The overall ergonomy is fairly good and all controls are in the right place. As most pickups of its ilk, the Navara offers a high and commanding driving position which gives you a top notch all around visibility. The front seats are fairly comfortable too, while the rear bench offers decent leg and shoulder room for three adults. The vehicle is powered by a 2.5 liter dCi diesel engine which develops 190 hp @ 4000 rpm and 450 Nm of torque. The top of the range Navara comes packed with a 3.0 liter unit which churns out a 231 hp @ 3750 rpm with a massive 550 Nm of torque available from as low as 1750 rpm. Even the weaker engine is stronger than anything else in the segment which makes the Navara the top dog when it comes to power. Needless to say, that both units reward you with plenty of torque which is spread on a wide band helping you to tow massive loads without any problems. 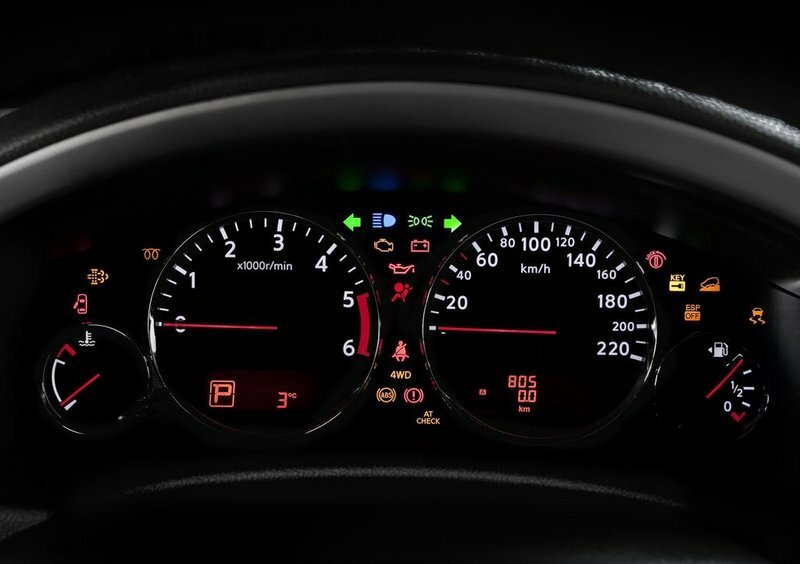 The engines are mated on either manual or automatic transmissions and both units deliver adequate performances coping well with the utilitarian nature of the vehicle. 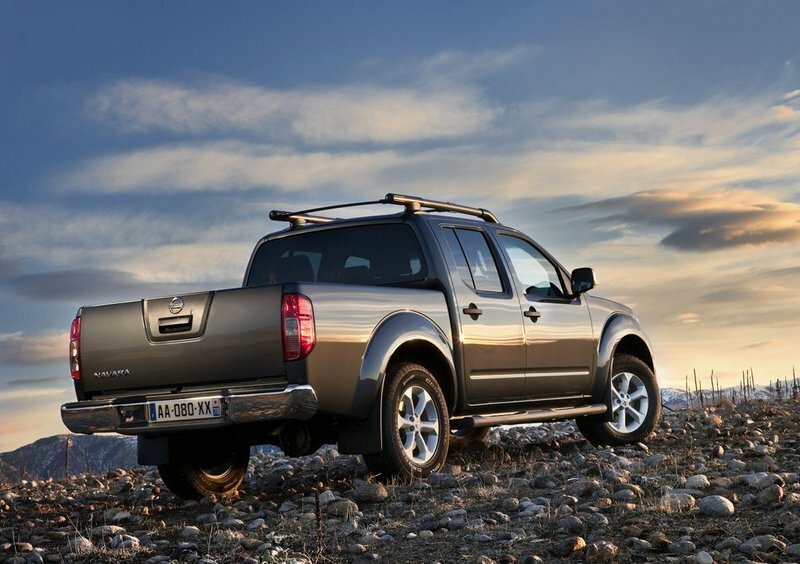 The Nissan Navara is equipped with a fully independent setup with double-wishbones at the front and leafs at the rear. Thanks to this setup the vehicle has very capable off road performances being able to deal with any kind of terrain without whining. The rear end however can feel jittery over rougher surfaces although the vehicle can still be driven confidently through the bends with adequate composure. The ride is more on the bouncy side as the leafs will transfer most of the road vibration inside the cab without too many restrictions. The general handling is pretty good, but it’s not in the same league with the Mazda BT 50 or Ford Ranger. The steering is also too light for our tastes and won’t give you anything close to a decent road feedback. On the outside, the Navara’s design looks pretty dated and it’s a half step behind Mitsubishi’s L200 or the new Mazda BT 50. The cabin it’s also pretty robust, but it offers a good level of comfort and it’s the best kitted pickup environment you’ll find around. The Navara’s engines are also the top dogs of the pickup pack and deliver strong pulling power regardless of what load you’ll carry at the back. The ride and handling however are mediocre and you’ll find better performances at other vehicles in this class. The Navara’s price it’s also pretty big compared to its rivals.